What if the screen of your smartphone was flexible? You would never have to worry about it cracking again. You could drop it, bend it and hit it; but the screen would flex to absorb the force. Well, this is an idea that LG has been working on for a while. Now, this technology giant has announced that it will start production of a flexible screen for smartphones. The way these new screens work is simple. The screens are made completely out of plastic instead of glass. This allows the screen to bend in any direction without breaking. According to the chief technology officer at LG Display, Sang Deog Yeo, these new OLED display panels may be available for purchase by next year. Yeo added that the flexible display market is not very big now, but it is expected to grow extremely quickly. It is important that LG gets in at the ground level of this industry. This kind of technology is going to expand the future of display screens, not just in smartphones, but in other products in the future. Soon, people will find these flexible displays in things like tablets, cars and other devices. If this idea pans out right, LG could make smartphones even cheaper. After all, a plastic display would be cheaper to make than a glass one. This could eventually even work its way to TV units. The flexible display market is going to grow quickly from here on out. By 2020, this market will be replacing glass displays all over the world. 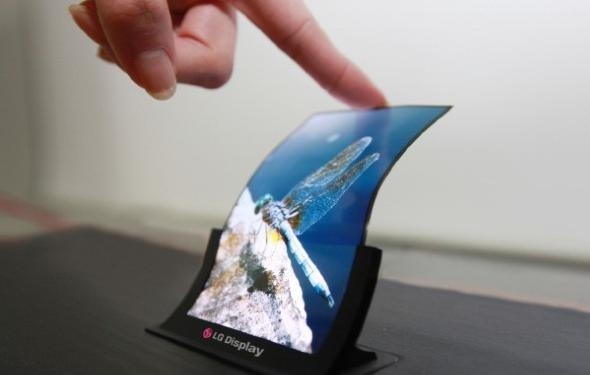 LG and other makers expect to ship more than 800 million flexible display devices within the next seven years. The Twelve Best Pink Floyd Songs from Their Top Albums Acer C720 Chromebook for Pre-order, but Is It Worth It?